Have you ever tried to lose a few pounds during the summer? It’s tough! For 4 weeks between July and August, I participated in an Empty Calorie Challenge as recommended by my dietitian. Because I gained a few pounds between my visits in May and July , I and wanted to take action and reign in some of my poor dietary habits. 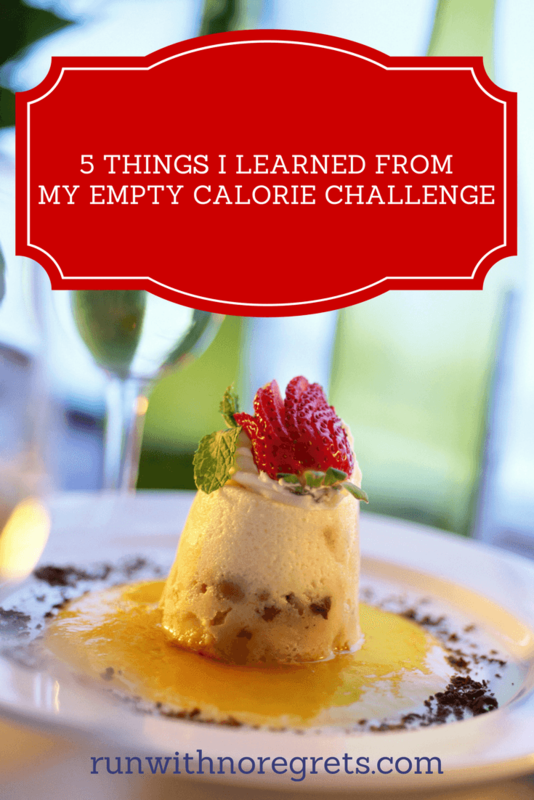 I’ve shared my experience on the blog in my weekly wrap’s, and now that I’ve completed the challenge, I’m sharing 5 things that I learned during the process! I’m linking up with Susie, Debbie, Lora, and Rachel for the Running Coaches Corner, Annmarie, Nicole, and Jen for Wild Workout Wednesday, and Running on Happy and Fairytales and Fitness for the Friday 5 2.0! The month of August is well underway! 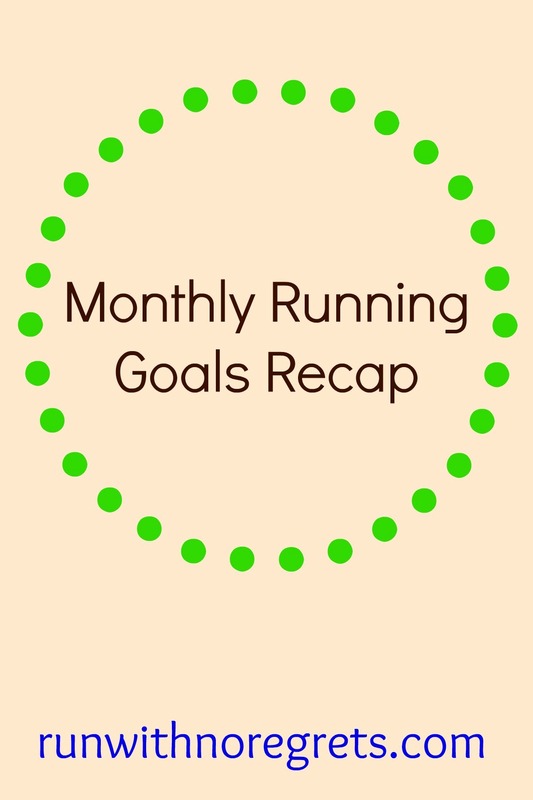 Did you meet all of your running and fitness goals for July? Things didn’t go perfectly for me, but I really enjoyed my running off-season. I thought I’d share how I did with my July goals and what I plan to tackle in August! I’m joining Patty, Erika, and Marcia for the Tuesdays on the Run linkup! Check it out as fellow bloggers talk about their training and share products review, race recaps, and training tips! I’m also linking up with Susie, Debbie, Lora, and Rachel for the Running Coaches Corner! 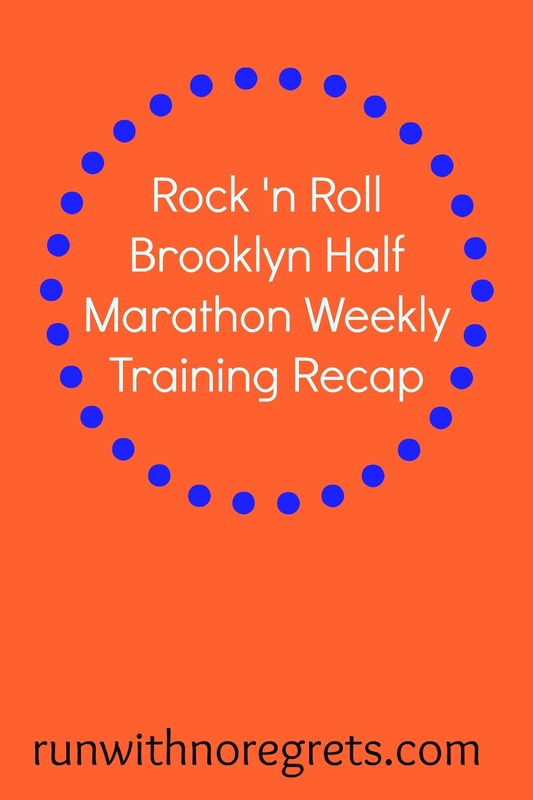 This past week of training for the Rock ‘n Roll Brooklyn Half Marathon was fantastic! I feel like I’m getting back in the groove. Let me share my latest training recap with you! Once again, I’m joining Hoho and Tricia for the Weekly Wrap! It’s such a great linkup where dozens of awesome running and healthy living bloggers participate and share what’s going on in their active lives each week! They also have Heather @ 3 Black Cat Co. as Guest Host!